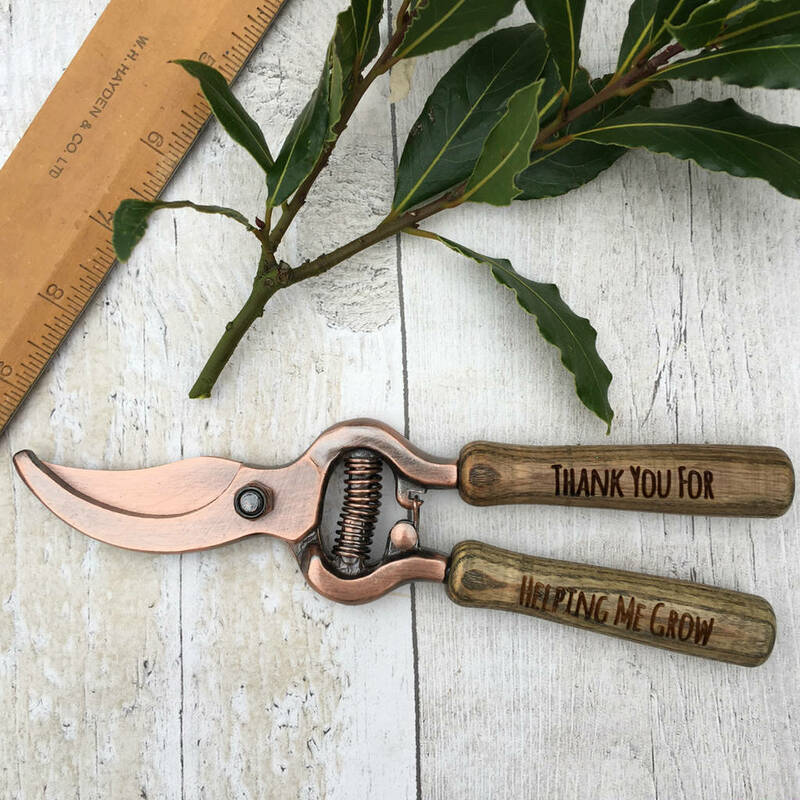 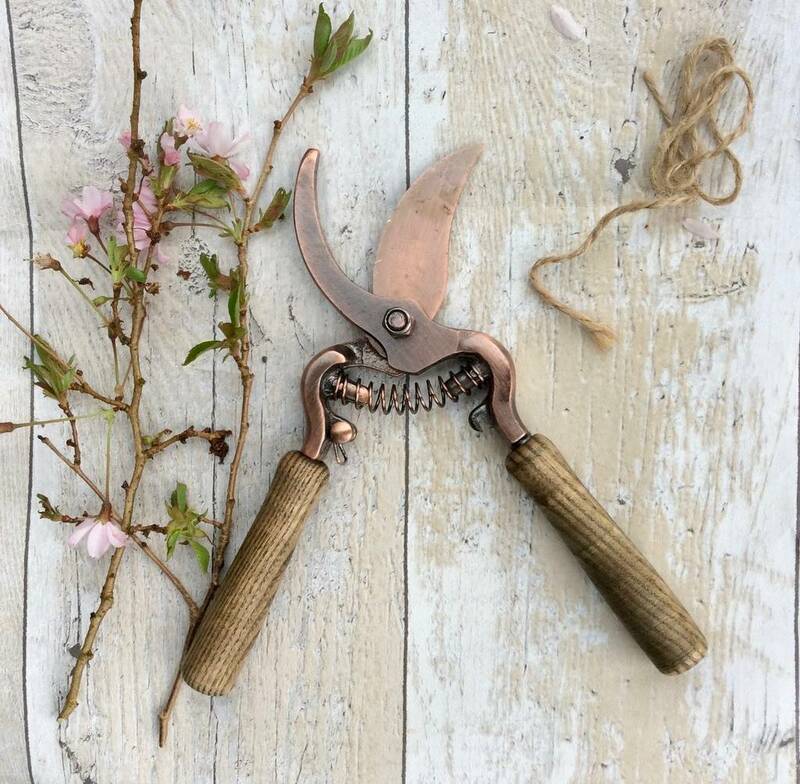 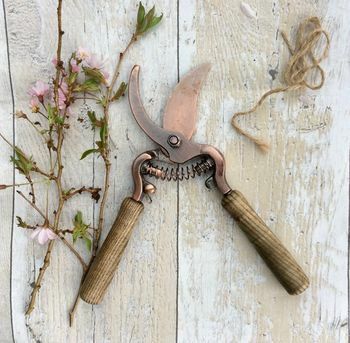 These pruning secateurs are made from copper plated carbon steel. 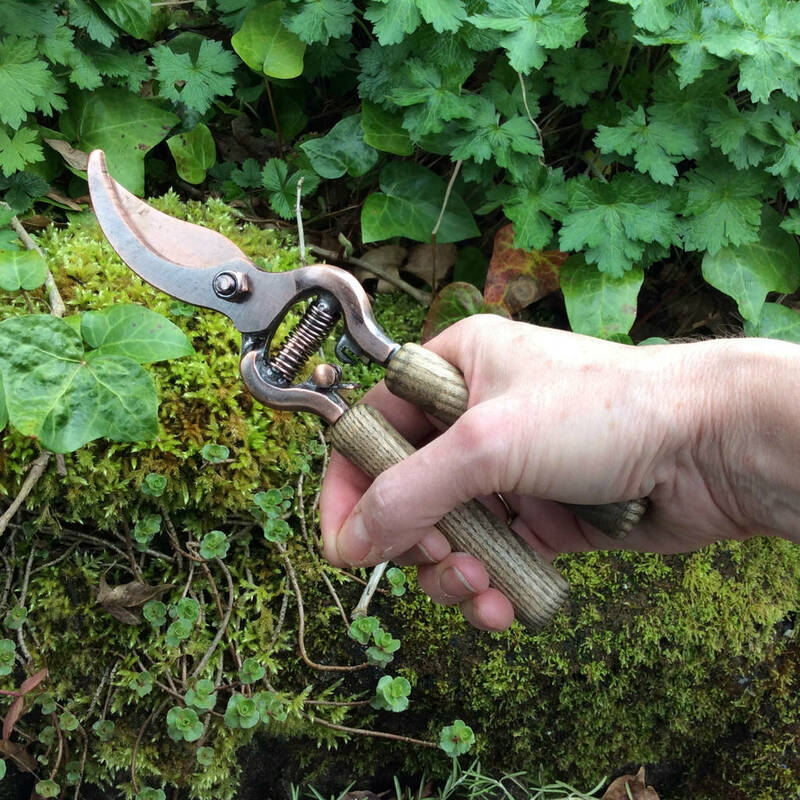 They have strong ashwood handles and feel great to hold when you are pruning your roses or trimming away errant branches. 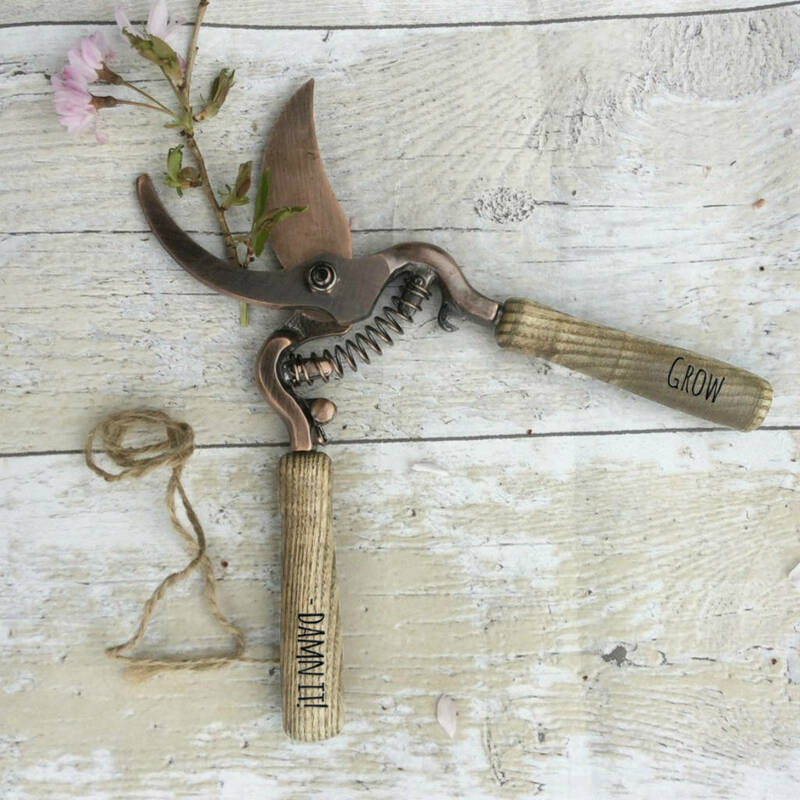 The handles can be personalised to mark a special occasion or just to make sure that nobody walks off with them!